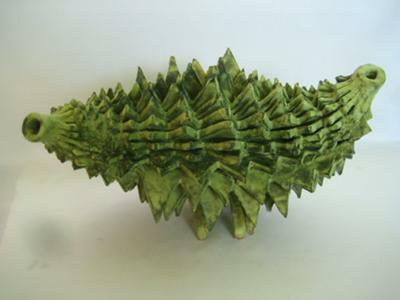 Well known Cairns based ceramist Lone White conducts viewers on a visual ceramic journey at Tablelands Regional Gallery, 16 Robert St. Atherton, from 11 May to 11 June 2012. This retrospective exhibition of 40 artworks traces the development of Lone’s works focusing on special areas which have influenced her inspiration in terms of form and colour, during her 35 year residency in the Cairns region. Although Lone spent her youth in Denmark, her works show little connection with what may be called the “Danish Ceramic Tradition”. 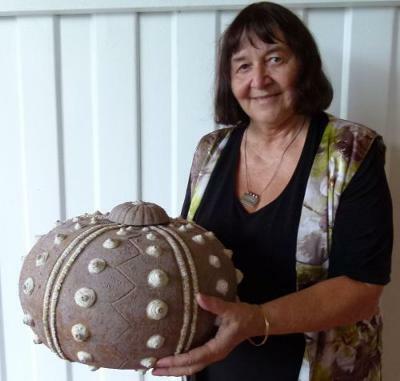 Lone’s interest in ceramics commenced while she lived for six years in Papua New Guinea, before arriving in Cairns with her family in 1976. While living in Cairns, Lone also continued her love of travel and has frequently travelled throughout the Middle East, South East Asia, Japan and China visiting major museum collections with ceramics and exploring many places, studying ceramic forms and techniques, which left firm memories. These shapes and forms have been modified and adapted to reflect the artist’s innovative concepts. While studying ceramics at Cairns T.A.F.E, Lone also became entranced by glaze colours and effects. 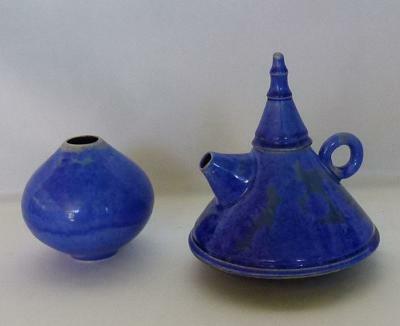 She undertook a specialised course in “Stoneware Glazes” designed and conducted by Ian Currie then with the Kelvin Grove College in Brisbane. Lone keeps experimenting with glazes; in each stoneware firing she always includes a few test tiles with new mixes of her own glaze formulations based on both standard and experimental development. Current concerns are to develop form to fully exploit a special effect – using crawling, chrome and matt glazes. 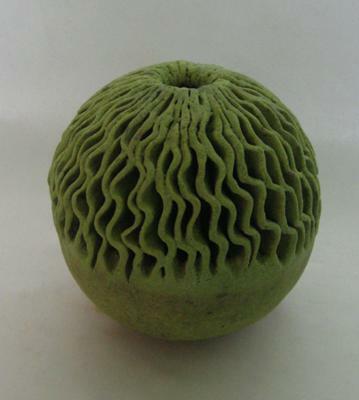 Other recent works have been inspired by the tropical reef and rainforest using paper clay and matt glazes. Thus the journey takes the viewer through a colourful landscape of glazes – Crystalline, Shino, Bronze, gloss and matt glazes with forms reflecting surrounds and world travel. The exhibition will show both retrospective and contemporary ceramic artworks complemented with Lone's own commentary.